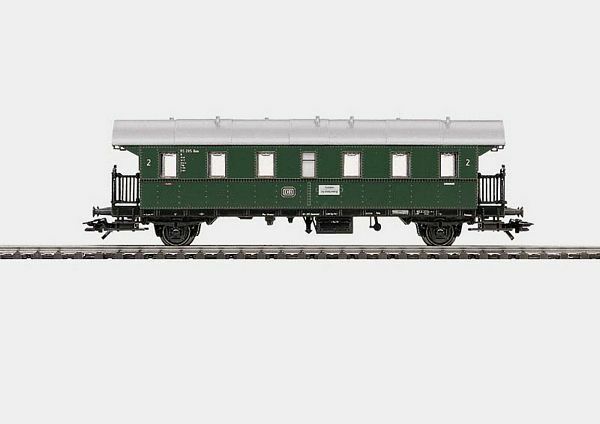 Prototype: German Federal Railroad (DB) type Bi "Donnerbüchse" standard car. 2nd class. Model: Length over the buffers 16.0 cm / 6-5/16. DC wheel set 2 x 700580.